Inspiring customer loyalty is a constant struggle for pharmacies, as they rely on walk-in trade and capture limited insight into shoppers. To help pharmacies strengthen customer relationships and gain competitive advantage, Evolufarma built a powerful CRM solution on IBM® Cloud™ that detects customer needs and reveals opportunities for cross-selling. Many pharmacies rely on walk-in trade – but if they fail to understand their customers, they miss out on valuable opportunities to recommend relevant products, cross-sell goods and foster loyalty. Evolufarma built a sophisticated customer relationship management (CRM) solution that runs on IBM® Cloud™, helping pharmacies gain game-changing insight into customer needs and sales patterns. Any businessperson worth their salt knows that it’s vital to understand customers if you want to serve them effectively. But as other industries have harnessed big data and analytics – and now AI and machine learning – to obtain a crystal-clear view of their customer base, pharmacies have been largely untouched by these developments. That’s particularly true in Spain, where pharmacies are independently owned and the industry has been hesitant to adopt new technology. Spanish start-up Evolufarma identified an opportunity for pharmacies to harness new technology to gain competitive advantage, as Luis Arimany, the company’s CEO, explains: “Compared to other sectors, looking at the pharmacy industry is like stepping back in time. 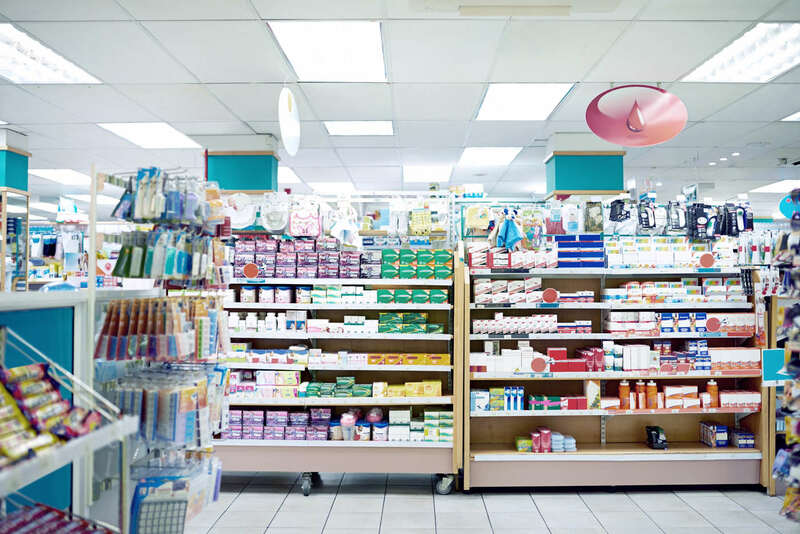 Pharmacies rely heavily on walk-in trade and capture little information on the customers that visit their stores, so they have a very limited view of their customer base. Evolufarma developed a state-of-the-art customer relationship management (CRM) system designed specifically for pharmacies. With the Evolufarma solution, pharmacies gain much deeper insight into their customer base, for example by performing segmentation. To complement the CRM solution, Evolufarma helps pharmacies modernize their sales channels by building e-commerce sites and mobile apps that integrate seamlessly with existing ERP systems. With the introduction of digital channels, pharmacies can launch new services – for instance, enabling customers to pre-order goods online for later collection. As another example, when pharmacies offer services such as immunizations, they can announce the initiative on digital channels and enable customers to book slots online. Evolufarma also equips pharmacies with a powerful business intelligence system that tracks marketing, customer activity, inventory levels and products sold – both within the pharmacy and at a national level – to deliver profound insight. For example, Evolufarma can tell pharmacies the current best-selling products nationwide and their average retail price. The business intelligence solution also shows pharmacies how they are performing compared to competitors. Luis Arimany continues: “We recently enhanced our offering with a cross-selling platform. Now, when a pharmacist scans a product’s barcode, they are presented with a picture of another item that is frequently purchased in the same transaction, so they can suggest it to the customer. For example, if a customer is purchasing antibiotics, the pharmacist can recommend medication to mitigate the side effects. To deploy its solutions, Evolufarma uses IBM Cloud Kubernetes Service to provision, manage and orchestrate a set of independent, containerized services. Kubernetes abstracts away the complexities of application deployment and server management: Evolufarma can simply specify the requirements of each component of its solution, and Kubernetes automatically makes the best use of the available hardware resources to keep everything running smoothly. With seamless scalability from IBM Cloud, the company can rapidly scale up to support a growing number of clients. Daniel Santiago Luengo, CTO of Evolufarma, adds: “We are a start-up, so it is very important for us to move fast and operate in a lean manner. The cloud model is perfect for us, because it dramatically shrinks the burden of system administration. If we require more capacity, memory or containers, I just specify what I need and the resources get provisioned automatically. Data for the Evolufarma solution is stored in IBM Cloudant®. As a NoSQL database, Cloudant is well-suited to managing unstructured data – such as information from e-commerce sites, product descriptions and product pictures. For object-based and file system storage, Evolufarma relies on IBM Cloud Object Storage – a scalable cloud storage service designed for high resiliency and security. To control access to the data in the object store, Evolufarma used Node.js to build a custom application layer that enables easy sharing of the data required by all pharmacies, while retaining separate repositories for data specific to each pharmacy. Daniel Santiago Luengo remarks: “IBM Cloud Object Storage gives us a secure, cost-effective way to store data for our pharmacy solution, and permit data access using role-based policies. IBM Cloud Object Storage is very easy to use and allows us to scale up very quickly; we just submit a request for extra capacity and IBM delivers the resources we need. Thanks to the relevant product recommendations powered by Evolufarma solutions, pharmacies can boost cross-sales and provide better customer service. Pharmacies also use the CRM system to remind them to follow up with patients at appropriate times to check on their health. By demonstrating that they understand customers’ needs, pharmacies can encourage repeat visits, build stronger relationships with customers and foster loyalty. Given that patients could collect their prescriptions from any pharmacy, loyalty is a crucial differentiator in the industry. Whereas in the past, most pharmacies did no marketing at all, Evolufarma enables them to run highly targeted campaigns via email, web and mobile apps. In doing so, pharmacies can pique customers’ interest and encourage repeat visits. Luis Arimany continues: “Evolufarma solutions help pharmacies to improve all key sales metrics. On average, pharmacies using Evolufarma technology achieve 5 percent higher revenue growth. Evolufarma already serves 140 pharmacies and its customer base is expanding fast. In fact, the company is one of the fastest-growing businesses in Spain and is working on projects worth a total of EUR 1.1 million. A major factor in Evolufarma’s success is the solution’s cloud delivery model. Thanks to IBM Cloud, Evolufarma can deploy its solutions to pharmacies in just a week and scale up rapidly as the business grows. In future, Evolufarma plans to enhance its offering by introducing a loyalty card feature. In addition, the company is exploring options to provide its data to pharmaceutical companies, giving them unprecedented insight into who buys their medication and what they purchase. Evolufarma offers cutting-edge solutions to help pharmacies better understand customers’ needs and inspire loyalty. Founded in 2013, the company now serves around 140 pharmacies, and is one of the fastest-growing young businesses in Spain. © Copyright IBM Corporation 2018, IBM Corporation, 1 New Orchard Road, Armonk, NY 10504 U.S.A. Produced in the United States of America, September 2018. IBM, the IBM logo, ibm.com, Cloudant, IBM Cloud, and IBM Watson are trademarks of International Business Machines Corp., registered in many jurisdictions worldwide. Other product and service names might be trademarks of IBM or other companies. A current list of IBM trademarks is available on the Web at “Copyright and trademark information” at ibm.com/legal/copytrade.shtml. The content in this document (including currency OR pricing references which exclude applicable taxes) is current as of the initial date of publication and may be changed by IBM at any time. Not all offerings are available in every country in which IBM operates. The performance data and client examples cited are presented for illustrative purposes only. Actual performance results may vary depending on specific configurations and operating conditions. All client examples cited or described are presented as illustrations of the manner in which some clients have used IBM products and the results they may have achieved. Actual environmental costs and performance characteristics will vary depending on individual client configurations and conditions. Contact IBM to see what we can do for you. It is the user’s responsibility to evaluate and verify the operation of any other products or programs with IBM products and programs. The client is responsible for ensuring compliance with laws and regulations applicable to it. IBM does not provide legal advice or represent or warrant that its services or products will ensure that the client is in compliance with any law or regulation. Statements regarding IBM’s future direction and intent are subject to change or withdrawal without notice, and represent goals and objectives only.